While doing SEO its very important to generate the SEO Backlinks of your website. If you are new with SEO then you should first familiar with what actually backlink meaning? What is backlink? : Backlinks are the incoming links to your webpage. In other words we can say the hyperlink that link from a webpage to your website.Its very important to acquire high backlinks for the website popularity. It also known as the inbound link of your website. From the image you see multiple website get linked with your website. There are various factor from where you can generate a high PR backlinks , but for that you should check some of the important metrics while creating the link building. The website should High DA and PR: Here DA refers to Domain authority and PR refers to page rank according to the Googlebot. You can easily check from the moz.com or various SEO tools like SEMRUSH, SEO QUAKE and many more. After all green check with the above terms then you are secure with making a backlink with that website. If you do these steps daily for your website there will 100 % guarantee to rank soon in Google SERP and with high quality traffic. 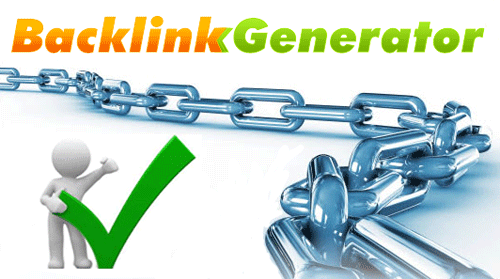 Hop you understand the importance of SEO backlink and now it’s easy to generate your website linkbuilding. © 2016 RNaura Services. All Rights Reserved.